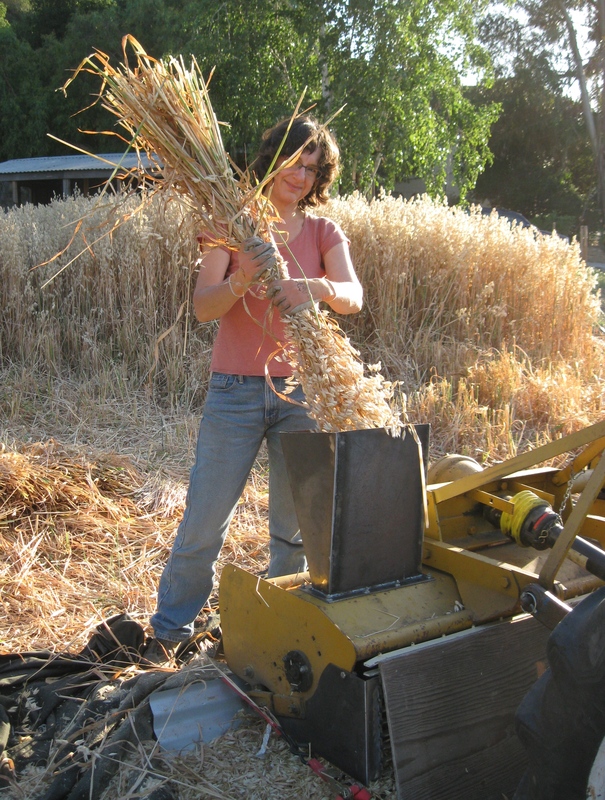 As I said in the previous post, we quickly realized that adding some key pieces of processing equipment would be necessary if we were to continue to grow grains. So in the years since that first oat crop we have done some experimentation. 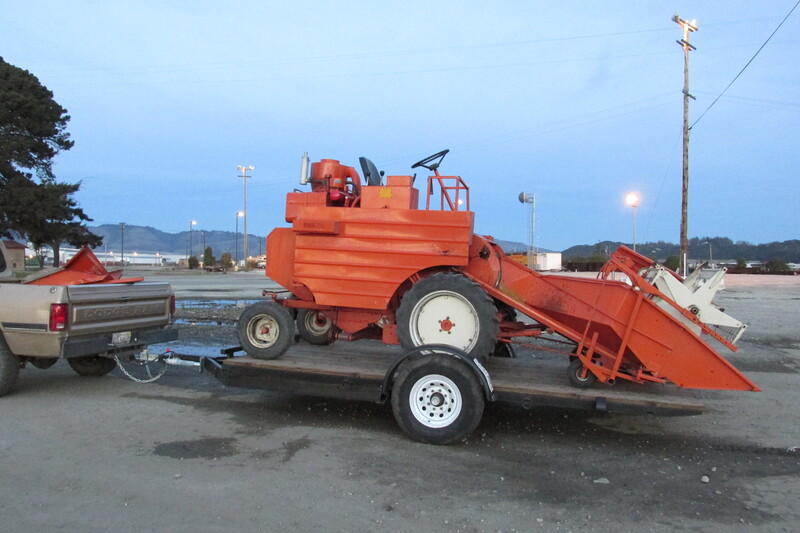 Jim modified a flail mower by cutting a hole in the top and bolting on a chute he fabricated from sheet metal. 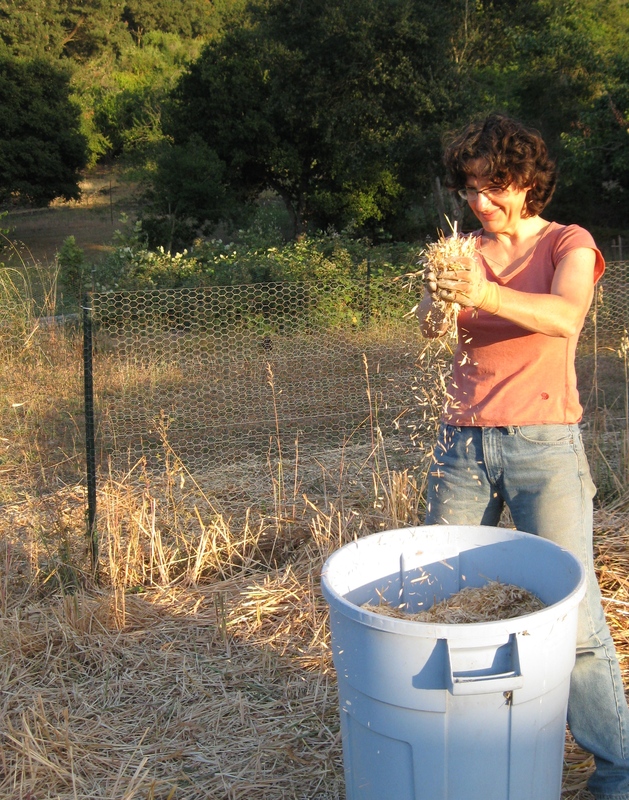 For the next harvest we cut the oats by hand and put them through this contraption, which worked really well. (here’s a video of the process, as well. It’s less dangerous than it looks – the chute is narrow enough at the bottom that your fist is not in danger of getting mangled in there). 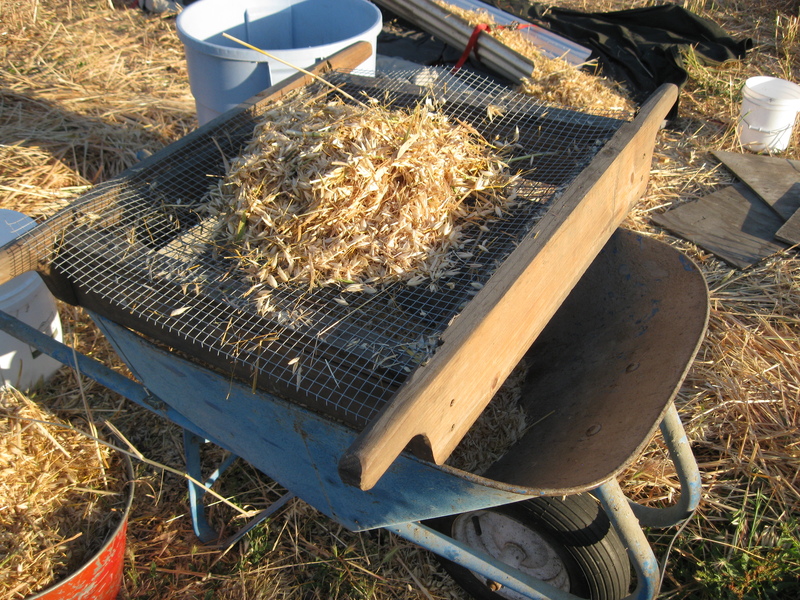 Once we had all the oats threshed we cleaned out the larger sticks and other trash, along with some of the chaff, using a screen and the wind. 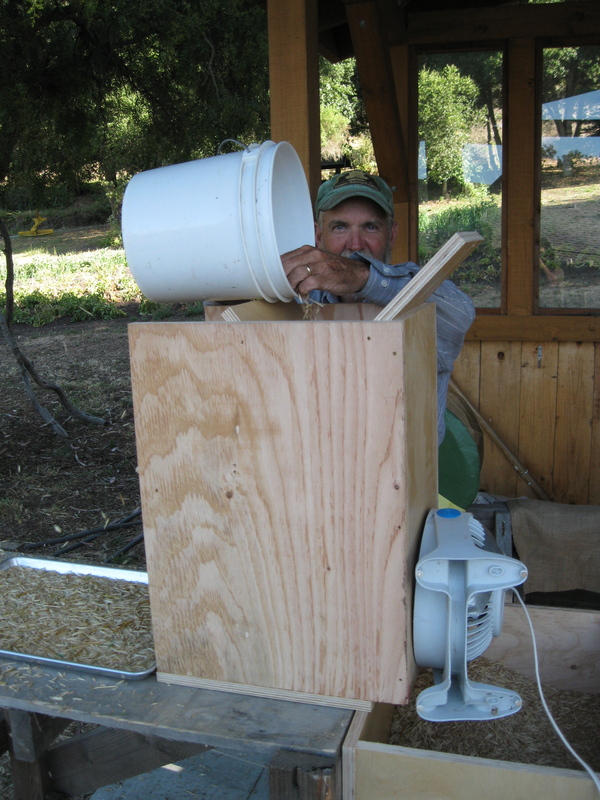 Jim also rigged up a winnower, basing the design roughly on plans for bird seed cleaners he found online and using an old fan and some plywood we had sitting around. 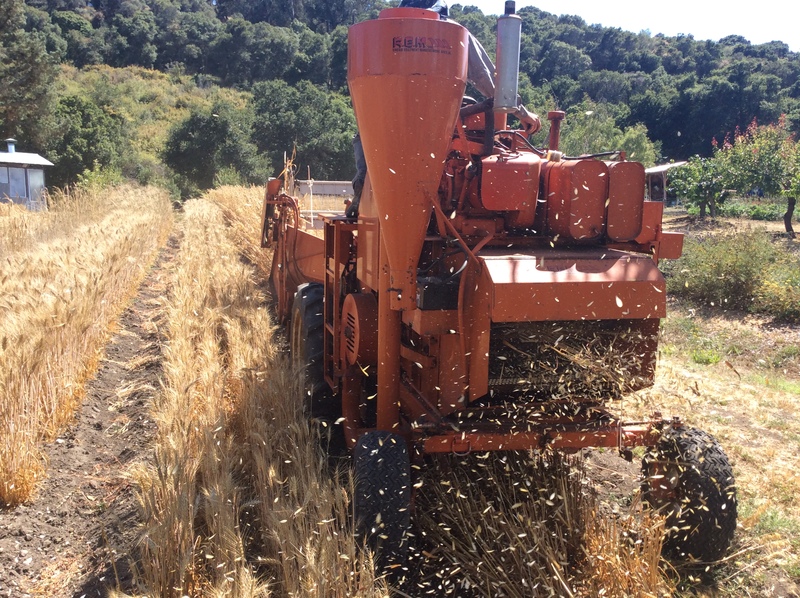 Here’s a video of it in action, showing how the fan blows the chaff up and out of the main stream of oats. 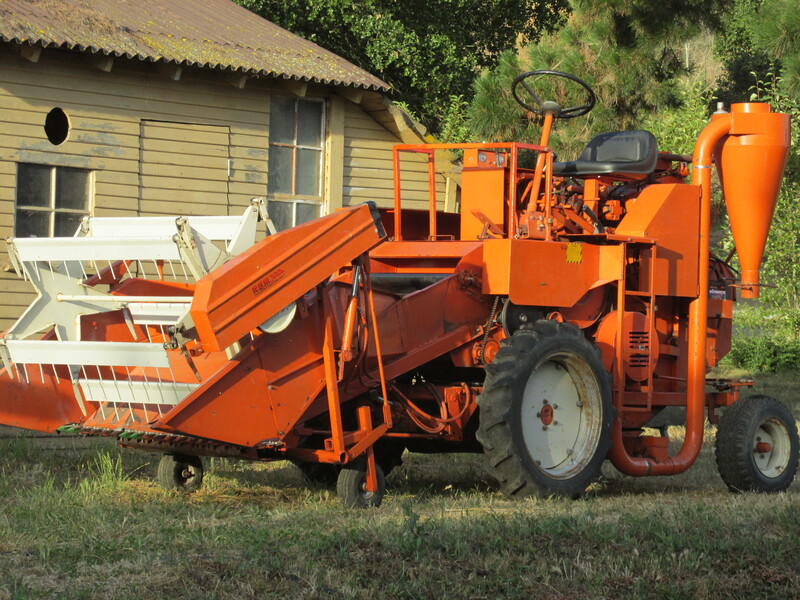 The same year we also got an old Roto Hoe 500 chipper, and used that to thresh our millet and buckwheat. 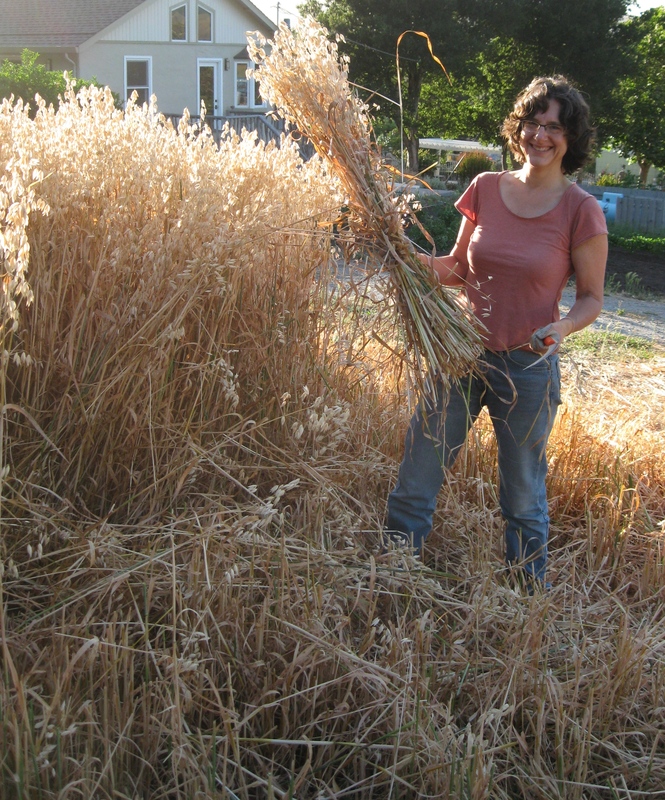 This video shows the buckwheat harvest, done with the help of some of our patient, cooperative relatives. 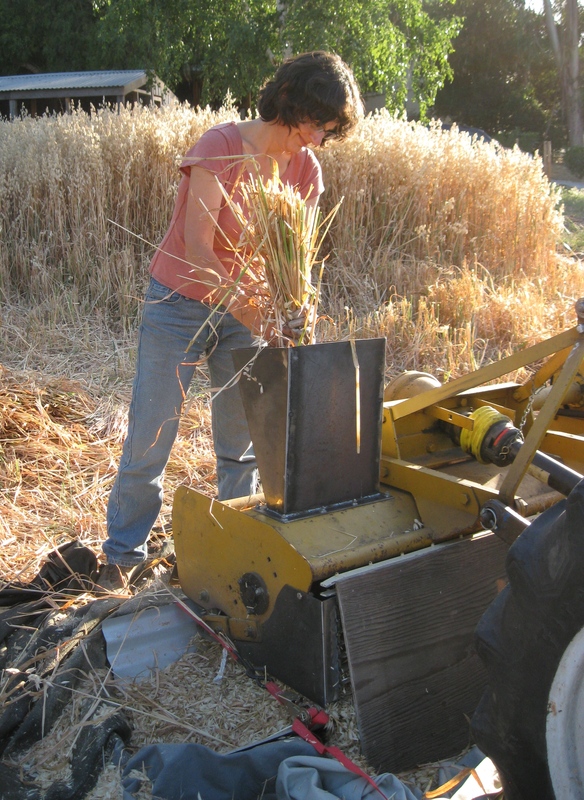 Both the flail mower and the the Roto Hoe were far more efficient than threshing by hand, but they were still pretty slow, and we were losing lots of grain in the process. 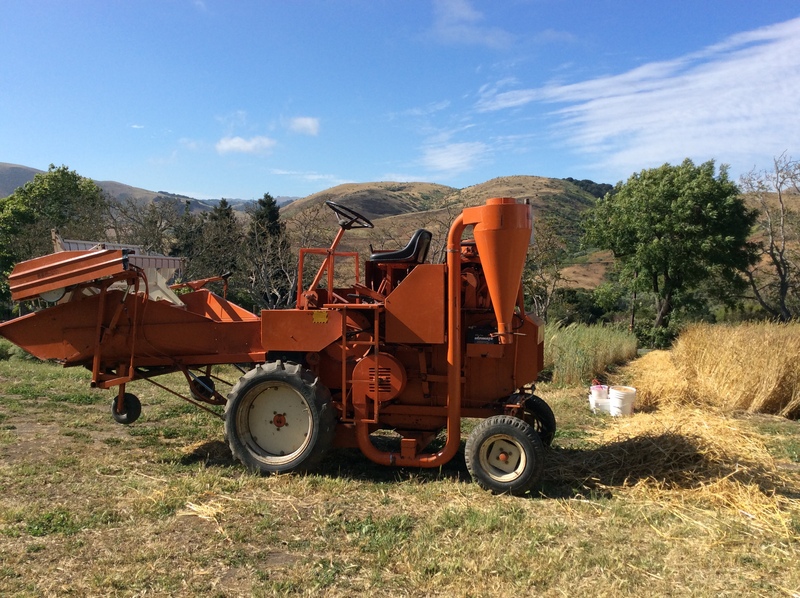 We briefly considered buying a stationary thresher, but not only are they pricey, they also don’t solve the problem of the initial cutting (reaping) step. So Jim scoured the internet and eventually found us a little plot combine that had been retired from use at a university in eastern Canada. We managed to get it trucked across the border and the country and brought it to our little farm, where Jim dismantled it, straightened the bent parts, replaced the broken ones, improved it where necessary, painted it, and put it out in our fields to see what it could do. The next step will be to get a proper seed cleaner, so that we don’t have to go through the painstakingly slow floating/drying/hand sorting final cleaning steps. 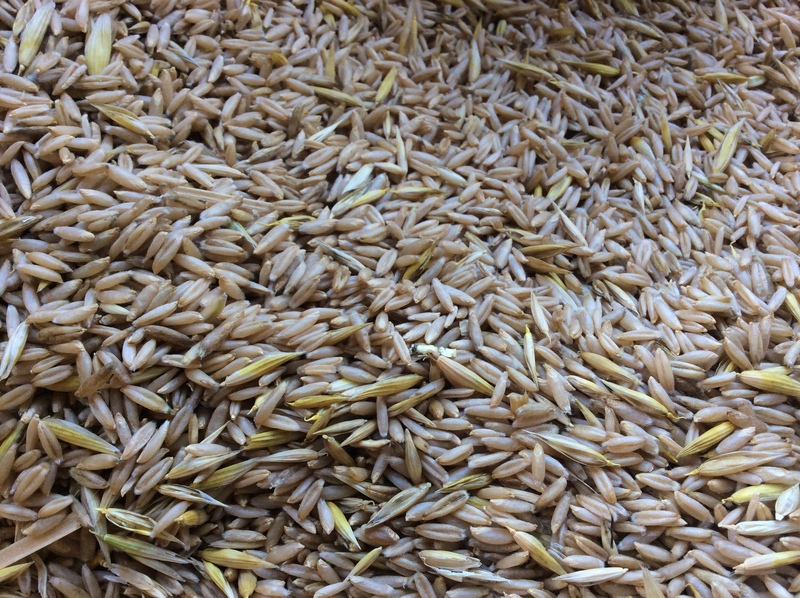 This entry was posted in grain processing, grain production, wheat and tagged grain production, home-grown feed. Bookmark the permalink.